Cheshire West and Chester Council and the Ellesmere Port Development Board have officially welcomed the establishment of the Cheshire Science Corridor Enterprise Zone including key sites in Ellesmere Port. 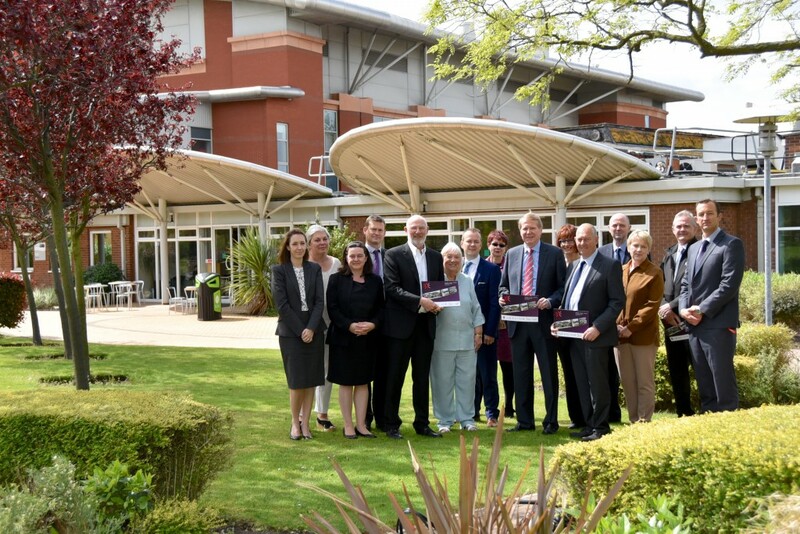 The announcement was made at a meeting of the Ellesmere Port Development Board last Friday (20 May) at Thornton Science Park. Thornton Science Park is one of nine other sites in Ellesmere Port included within the Enterprise Zone. The Chancellor, George Osborne granted approval for the establishment of the Enterprise Zone as part of his Autumn Statement. The Cheshire Science Corridor Enterprise Zone came into effect on 1 April 2016 and is due to be officially launched this week at a combined event in Warrington. Chris Farrow the Chairman for the Ellesmere Port Development Board said: “Yet another good news story for Ellesmere Port, the Enterprise Zone is one of a number of initiatives that make Ellesmere Port an excellent location for investment. “Our successful Regional Growth Fund (which provided £6m in local infrastructure) removed the obstacles to development from five significant strategic sites, now the Enterprise Zone (coupled with our Assisted Area Status) provides increased levels of support available to bring forward another nine sites. “This recent designation builds on previous success and again demonstrates the level of confidence there is in Ellesmere Port to grow and thrive. 25 Enterprise Zones were first established by the government in 2012 and a further 16 designated in 2015. Enterprise Zones are designated areas that provide tax breaks and government support; they are part of the Governments long term economic plan to support business growth. The Enterprise Zone is a joint initiative between Cheshire West and Chester Council, Cheshire East Council, Warrington Council and the Cheshire and Warrington Local Enterprise Partnership. The Cheshire Science Corridor Enterprise Zone consists of collection of sites across the sub region with science and technology focused developments. Businesses basing themselves within the Enterprise Zone can access a number of benefits, such 100 per cent rate discounts (up to £275,000) for five years, 100 per cent enhanced capital allowances, simplified planning regimes and superfast broadband. Overall the Cheshire Science Corridor Enterprise Zone is intended to accelerate development on 144 ha of land and create 15,200 new jobs through 390 new businesses. 58 ha of development land is located within the Ellesmere Port sites (including Thornton Science Park). Photograph: Holding brochure left to right: Ellesmere Port Development Board Chairman Chris Farrow, Chief Executive, Cheshire Science Corridor and Board Member of Cheshire and Warrington LEP, Robert Mee, and Cabinet Member for Economic Growth and Infrastructure Councillor Brian Clarke with EPDB members and council staff.